Police said the fight occurred in front of the resource officer on Thursday at 2:30 p.m. Police say based on security cameras, video and witnesses, the fight appeared to be pre-planned. Two law enforcement trained staff members were injured. One had a chipped tooth and the other had an injured leg. 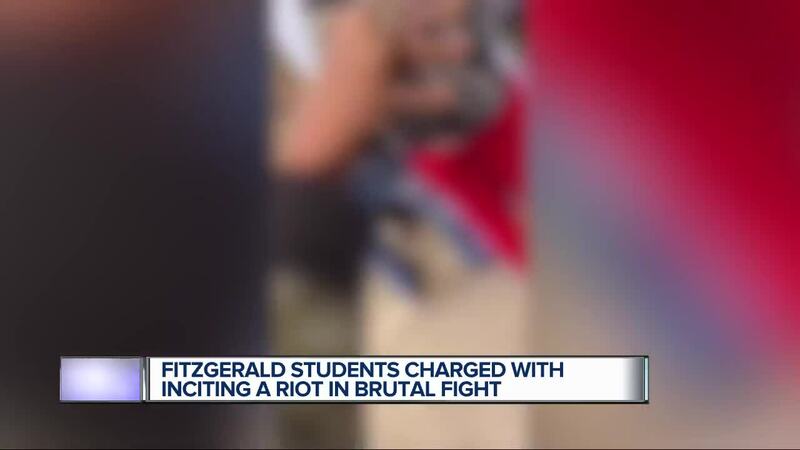 Two 16-year-old boys are charged with Inciting a Riot and Assault and Battery. A 17-year-old girl, who is being charged as an adult, was charged with Assault and Battery. Seven Action News spoke to one of the boys and his mom. He says there was an argument during lunch, but that he did not expect a fight to happen. He says he was jumped by multiple students and didn't have the opportunity to walk away. His sister is the girl facing charges. Their mom says she was trying to help her brother. This is the second incident at Fitzgerald High School after a teen was fatally stabbed in September. As you know, and I will continue to say, the safety and security of students in our buildings and school campuses are of the utmost importance. The Board believes that the primary objective of student conduct and control is to produce a school environment which offers the most favorable setting for teaching learning activities. In an effort to give you accurate information about a recent story that aired regarding safety at Fitzgerald High School, I am sharing the following facts with you. The high school dismissal procedures were in place with staff and security personnel monitoring and supervising assigned areas. On Thursday, November 8, 2018 there was a physical altercation in the parking lot area at dismissal. This altercation was a result of two male students making comments to each other at lunch and agreeing to fight. The school staff was not aware of the verbal exchange or the student’s plan to fight prior to this incident occurring. When the two boys began fighting, a group of students gathered to watch. Staff immediately intervened and were able to separate the students from fighting. Warren PD took two students into custody and are continuing to investigate this incident for other involvement. All students involved will face appropriate disciplinary consequences. Parents of the students involved were notified. It is important to remind your children that if they are aware of an incident that may be occurring they are to contact school staff immediately. We take all information related to potential violence very seriously and investigate each matter. Parents are a critical component in assuring that our community and schools are safe. We ask that you continue to talk to your children and check their social media on a daily basis. 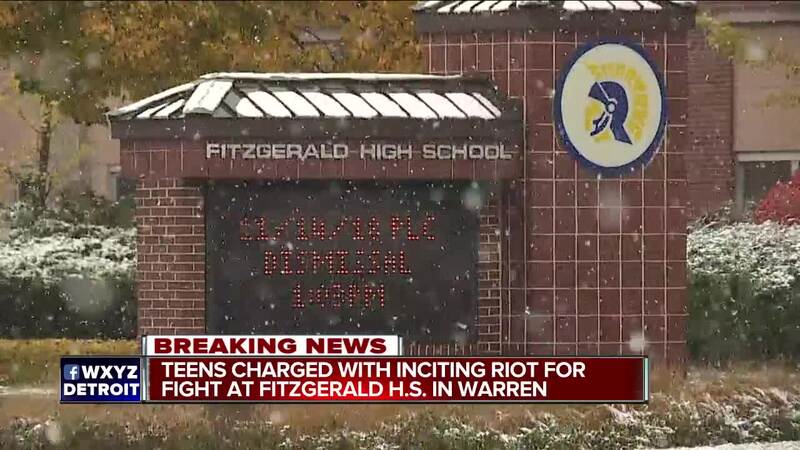 Fitzgerald administration will continue to work side by side with the Warren Police Department to address what steps students can take when an incident may be occurring on school grounds. District administrators will be meeting this afternoon and on Monday to plan student assemblies related to conflict resolution and restorative practices for avoiding problems. We are also planning to schedule a parent informational meeting in cooperation with the Macomb Intermediate School District to provide parents with important advice and tools. We are fully committed to providing an environment where our students feel safe at school.